7:57 a.m. — A caller from the 200 block of Depot Street reported going outside and it appeared someone hit his car the previous evening. Officers found the claim to be unfounded. 9:20 a.m. — A caller near the intersection of Railroad Avenue and Idaho Maryland Road reported a big rig stalled in the middle of the road and it took out a stop sign while trying to turn a corner and was then stuck on a boulder, blocking the road. 10:16 a.m. — A caller from the 100 block of Lidster Avenue reported theft of medication. The caller said items were being taken and returned and his phone was being messed with. The caller didn’t know who was moving his items. He said he’d contact his doctor about his meds. 3:19 p.m. — A caller from the 300 block of Dorsey Drive reported a man signing and cuddling and talking to a stuffed bunny outside his vehicle and smoking something from a pipe, making the caller uncomfortable. 8:19 p.m. — A caller from the 200 block of Bank Street reported a vehicle stolen within the last couple hours. The keys were missing from a purse in the house and the caller thought a friend’s friend took the vehicle. 12:43 a.m. — A caller from the 300 block of East Main Street reported a disturbance. 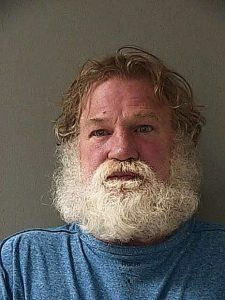 A person was arrested on charges of public intoxication. 9:39 a.m. — A person was stopped on Old Tunnel Road. A person was arrested on charges of failure to appear, obstruction, possession of controlled substance paraphernalia and shoplifting. 11:43 a.m. — A caller from Elnora Drive reported a loose, red colored cow/steer standing just outside a fence. 11:55 a.m. — A caller from Pasquale Road reported theft of marijuana and the subject returned to the property. 11:57 a.m. — A caller from Walker Drive reported theft of a dog. 12:59 p.m. — A caller from Lodestar Drive requested the number for Home Depot in Auburn. The caller was provided 411 information. 2:45 p.m. — A caller from Jennifer Drive reported extensive vandalism to a residence. 3:40 p.m. — A caller near the corner of Footwall and Gold Hill Drive reported a woman standing on the side of the road near and empty lot for the last 30 minutes. 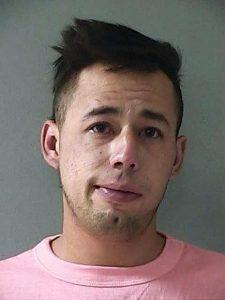 Two people were arrested, one on charges of vehicle theft, obstruction, being under the influence of a controlled substance and two counts of possession paraphernalia, the other on charges of possession of a controlled substance, being under the influence of a controlled substance and possession of controlled substance paraphernalia. 4:49 p.m. — A caller from Mayflower Drive reported a possible scam call about two hours ago from someone claiming to be from PG&E and shutting the caller’s power off in about 45 minutes. The caller said the power was never shut off and when the caller attempted to call the number a person hung up on the caller. 7:54 p.m. — A caller from Hydraulic Way reported a suspicious vehicle followed her to her residence, then turned around when she closed the gate. While on the line the caller was attempting to go look for the vehicle on foot. She was advised to go back home. Officers were unable to locate the vehicle. 8:26 p.m. — A caller from Hovickstone Way reported she was going to drop her sister off for a party but decided not to when she noticed people doing lines of drugs and drinking with juveniles present. 10:24 p.m. — A caller near the corner of Mount Olive and Dog Bar Road reported a woman screamed “help me, you just pushed me out of the car.” A man answered with, “are you kidding me?” Officers were unable to locate anyone. 10:29 p.m. — A caller from Hovickstone Way reported nobody leaving her residence because they were all drunk including 17-year-olds on Molly who were becoming ill.
1:52 p.m. — A caller from the 300 block of Railroad Avenue reported someone came out of a business and shot at another vehicle. The caller believed no one was hit. The caller was uncooperative and left the area. 9:57 p.m. — A caller from the 100 block of Argall Way reported theft of a vehicle. 5:59 a.m. — A caller near the corner of Willow Valley Road and Nursery Street reported five people screaming for help. The people were on foot. The group was found to be fine, walking to a hotel. 6:13 a.m. — A caller from the 200 block of Broad Street reported a man trying to go into different rooms after having been asked to leave multiple times. The man was told not to return or he would be arrested.